India vs New Zealand 3rd ODI: Mithali Raj is leading the Indian women's team in the ongoing third ODI against New Zealand. 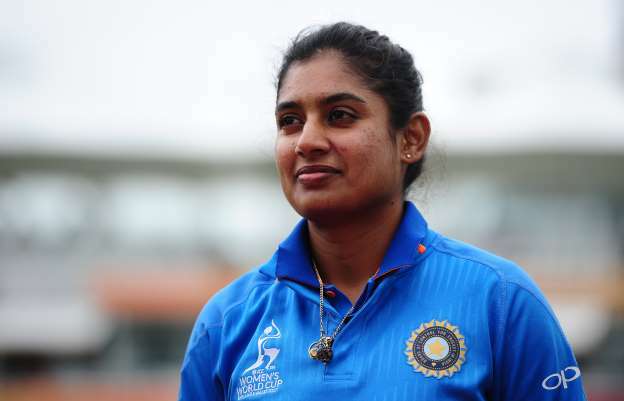 ndian women's ODI team captain Mithali Raj on Friday became the first female cricketer to feature in 200 ODIs as she led her team out against New Zealand in the third and final match in Hamilton. Interestingly, India have played 263 ODIs in total and Mithali has featured in 200 of them. Since her ODI debut on 25 June, 1999, the team have played 213 matches in the format. She has been a part of all but 13 of them. This is Mithali's 20th year in international cricket during which time she has amassed 6622 runs in 200 ODIs with 700 and 52 half-centuries in 180 innings. The 36-year-old has also played 10 Tests and scored 663 runs at an average of 51 while in 85 T20Is she has managed 2283 runs at 37.42 with 17 fifties. Mithali's team however, struggled in the first innings on Friday as India got bowled out for 149 after being put into bat by the White Ferns. For New Zealand, Anna Peterson starred with the ball as she took 4 wickets for 28 runs while Lea Tahuhu bagged three wickets for 26 runs. India have already clinched the three-match series by taking an unassailable 2-0 lead. Mithali's participation in her 200th ODI came a day after Rohit Sharma became the 14th Indian male cricketer to play 200 one-day internationals when he walked out to toss with New Zealand captain Kane Williamson at the same venue on Thursday. Rohit Sharma joined the likes of Sachin Tendulkar, Rahul Dravid, Sourav Ganguly, MS Dhoni, Anil Kumble, Javagal Srinath, Mohammad Azharuddin, Virender Sehwag, Harbhajan Singh and Virat Kohli in the Indian club of 2 hundred ODIs. Rohit however, didn't have the best of games as interim skipper as India got bowled out for 92 thanks to Trent Boult's 5-wicket haul. Rohit managed just 7 runs in the match. New Zealand then rode on Ross Taylor and Henry Nicholls's unbeaten knocks to reach the target with 8 wickets in hand. It was New Zealand's first win of the five-match series which India lead 3-1.